Shiro-Khorshid Forever - شيروخورشيد تا ابد: Hossein Shahriyari Must be Released Immediately and Unconditionally! Hossein Shahriyari Must be Released Immediately and Unconditionally! I recieved the information below from Mr. Shahriyari's son Kaveh Shahriyari who is also a political activist who resides in Iran. I urge my readers to take immediate action and support the Shahriyari Family in this very difficult time. Mr. Hossein Shahriyari is member of the High Council of Leadership of the PanIranist Party in Iran. PanIranist Party is an outlawed, nationalistic organization that works towards a free and united Iran where all minorities live together freely and peacefully. After the 1979 Revolution many of the key members of this party were arrested and one was even executed. Due to the crackdown and oppression the party was not very active until 1997, when the Seventh Congress was created, which consisted of seven (7) people in the leadership position. 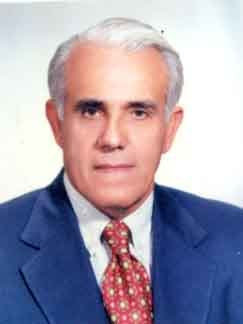 Mr. Hossein Shahriyari was one of the seven (7) individuals. Mr. Shahriyari was first arrested during the July 9th 1999 pro-democracy demonstrations, and imprisoned in the notorious Towhid prison for 3 months before being released on bail. During that three months his family had no idea about his whereabouts or well being. He was eventually convicted and sentenced to five (5) year suspended sentence. He continued his political activities after his release and continued attending weekly meetings of the PanIranist Party. In 2005 Mr. Shahriyari was arrested one more time and spent 18 days in the notorious Rajaishahr (Gohardasht) Prison. He was charged with propaganda against the Regime and membership in anti-regime organization. He was convicted and sentenced to 18 months of imprisonment. Mr. Shahriyari’s lawyer has appealed this sentence in the court of appeal however the sentence has been confirmed. Mr. Shahriyari is currently being held in Section 4 of the Rajaishahr prison, which is a section for common criminals, and not for political prisoners. He started serving his sentence 13 days ago. It must be noted that Mr. Shahriyari is 73 years old and suffers from heart problems for which he is under medication. Mr. Shahriyari has been imprisoned because of his involvement in a peaceful political organization and therefore is a political prisoner. I urge all readers to contact Amnesty International, Human Rights Watch and other international human rights organizations, and to urge them to take up Mr. Shahriyari’s case and to pressure the Islamic Regime into releasing Mr. Shahriyari immediately and unconditionally.